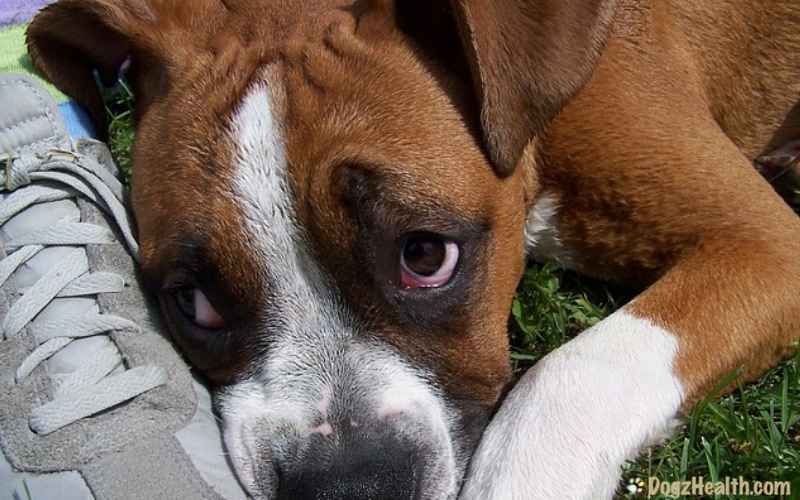 Canine Depression | What Are The Causes, Symptoms, and Treatment? Canine depression is very often caused by a sudden change in the dog’s environment or daily routine. However, it can also be due to an underlying health problem. This page looks at the symptoms, possible causes, and treatment of dog depression. Research shows that dogs have a wide range of emotions, from happiness, excitement, pride, to guilt, shame, embarrassment, jealousy and depression. Dogs are animals of habits. They do not like changes, so if there is a drastic change in a dog’s environment, it is very likely that the dog will feel anxious. Prolonged anxiety leads to depression in dogs. In fact, “change” is the number one cause of depression in dogs. Fortunately, dogs usually are happy animals and they live for the moment. If the depression is not caused by a health problem, most dogs can recover from depression after some time. But, prolonged chronic depression can cause a dog’s immune system to weaken, making the dog more prone to diseases. So if your dog has chronic depression, you need to get help from your vet. So how exactly can we tell if a dog is depressed or not? A marked decrease in activity in which the dog withdraws, spends most of his time lying down, is disinterested in his surroundings, and exhibits little or no interest in eating. So… if your dog has recently lost interest in his favorite games or does not want to play or go for a walk; if he looks lethargic and mopey most of the time; and if he has lost his appetite, then your dog may be depressed. As mentioned above, dogs like routines and do not like changes. Loss or death of a family member (can be another pet or a human member) – This can lead to grief and depression. Addition of a new family member (e.g. a new pet or a human baby) – This can trigger feelings of jealousy and depression. Moving to a new environment (e.g. a new city) – This can lead to anxiety and depression. Being left suddenly alone in the house (e.g. after the summer when children return to school) – This can result in loneliness, separation anxiety, and depression. In addition to the above, sometimes changes in the weather can cause some dogs to feel depressed. Very often, dogs show signs of depression when they are not feeling a hundred percent well. 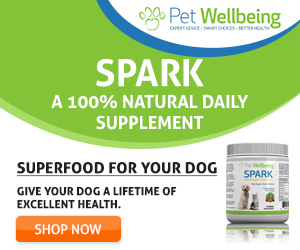 Sudden changes in a dog’s behavior and temperament very often mean that the dog has some type of health problem, which can be an acute disease or a chronic disorder. Take your dog to the vet if he seems depressed, and if the depression does not seem to be caused by a change in the environment, or if the symptoms of depression continue on for over a week. Just like people, dogs can also suffer from chemical imbalances that lead to chronic canine depression. There are prescription antidepressant drugs for dogs such as Prozac, valium, and phenobarbital, but these drugs can cause numerous side effects. So, before resorting to these antidepressants, discuss with your vet the pros and cons of administering these drugs to your dog, and ask for other options that may be available. How Do You Treat a Dog with Depression? Since depression can be a sign of an underlying health problem, it is important to take your dog to a vet for a medical check-up if he is showing signs of depression. After the check-up, your vet will be in a better position to advise you on an appropriate cause of action to deal with the problem. 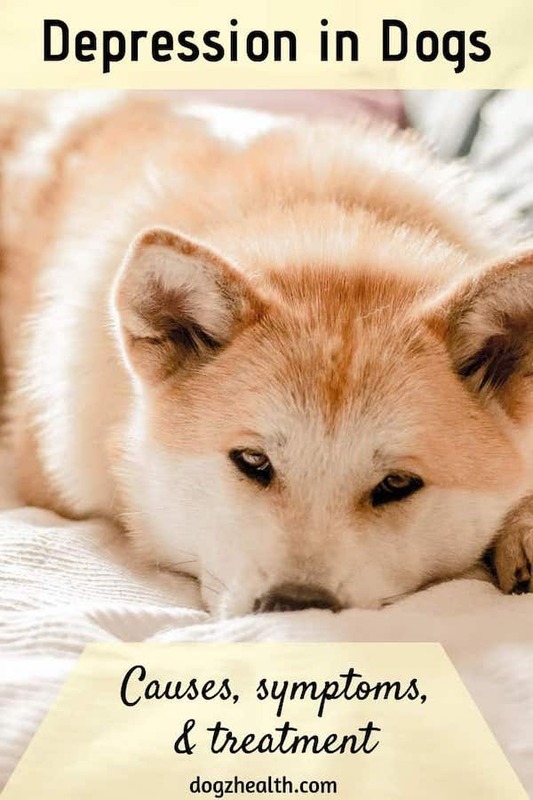 If your dog’s depression is not due to any health problem, but rather is caused by a change in the environment, the best way to help him is to show him a lot of love and care. If possible, spend more quality time with the dog – play his favorite games, take long walks together, and talk to the dog in a soft but uplifting voice. All these can greatly help lift his spirit. If your dog is depressed because of loneliness or grief brought on by the loss of another pet in your family, try to provide more opportunities for your dog to socialize with other dogs at parks, or doggie training schools, etc. As mentioned above, chronic depression may be treated by antidepressant drugs such as Prozac. But drugs should be used as a last resort at all times, and only if your dog has been properly diagnosed as being chronically depressed due to a chemical imbalance. And even so, you may want to try for some natural remedies first before resorting to antidepressant drugs. Touch and Massage Your Dog: Dogs like being touched and they enjoy having a massage! Give your dog a massage or simply move your dog’s skin in a clockwise direction, making small circles especially on the ears, face and neck. Sunshine: Light and sunshine can stimulate the pituitary gland in the brain, and help to regulate the dog’s mood. Try to get your dog out and let him soak in the sun. Music: Play some soothing music in the house, especially if your dog’s depression is caused by anxiety such as separation anxiety. Soothing music can help your dog feel secure and comfortable. Be Happy Yourself: Dogs can feel their owners’ feelings and the mood in the house. If you are depressed, your dog will feel the same way. If the atmosphere in the house is tense, your dog will feel anxious… So, be happy and have positive thoughts yourself (in particular when your dog is around)! Stimulate his Mind: Dogs can get depressed if they are bored. Use games and interactive toys to stimulate your dog’s mind.